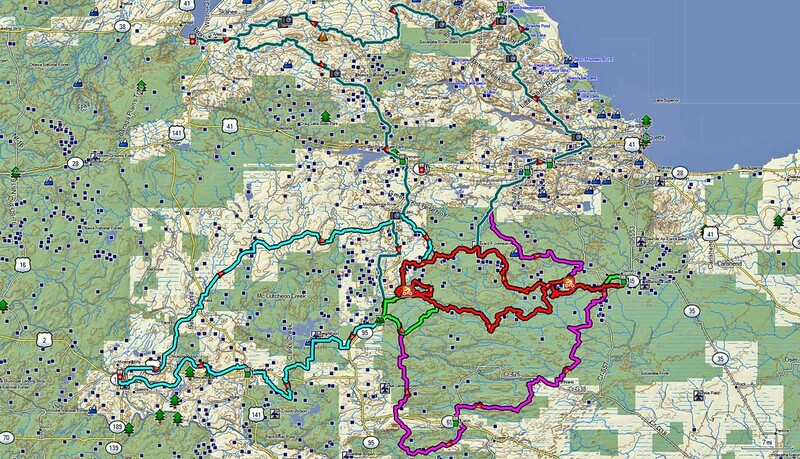 This file contains four dual sport routes in the west central upper peninsula of MI. Gwinn-Silver DS track. 117 miles. 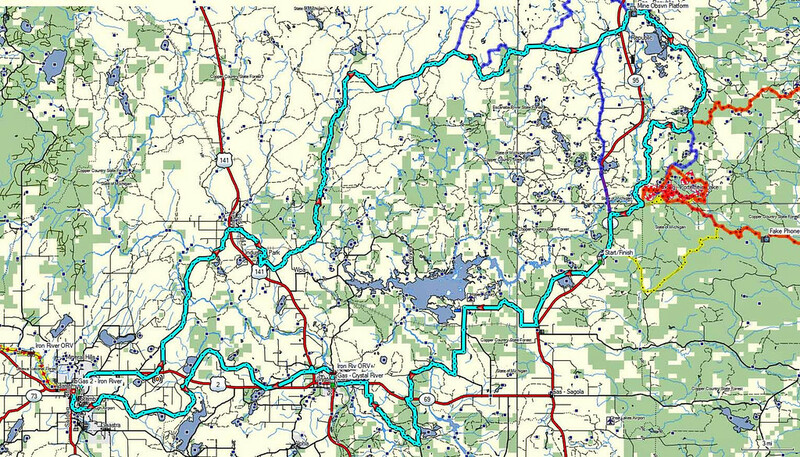 Connected Bass Lake and Porterfield single track loops. OHM (unlicensed) Gwinn-Porterfield. 104 miles. Connects single track at Porterfield and Bass Lake trails. 18,711 views on my previous track site. Did not record the downloads for this set. 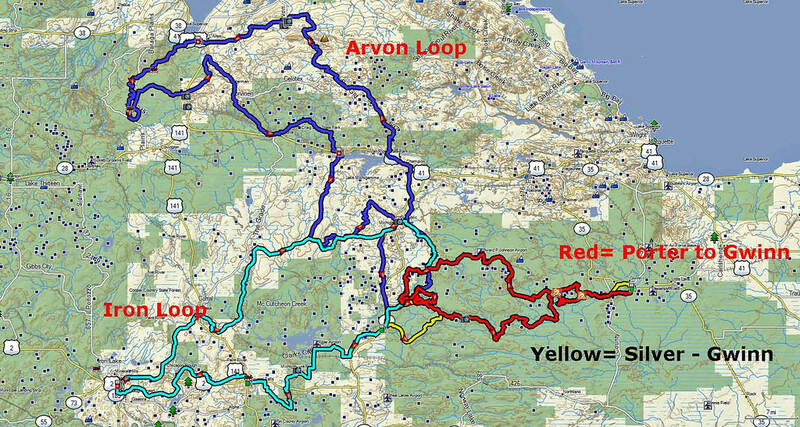 I am considering these loops this summer with a few friends.What type/variety of trail conditions should I expect? We did your Eastern UP loop 2 years ago and really enjoyed the variety of riding conditions. Appreciate the work you do supplying these great tracks. A little single track. 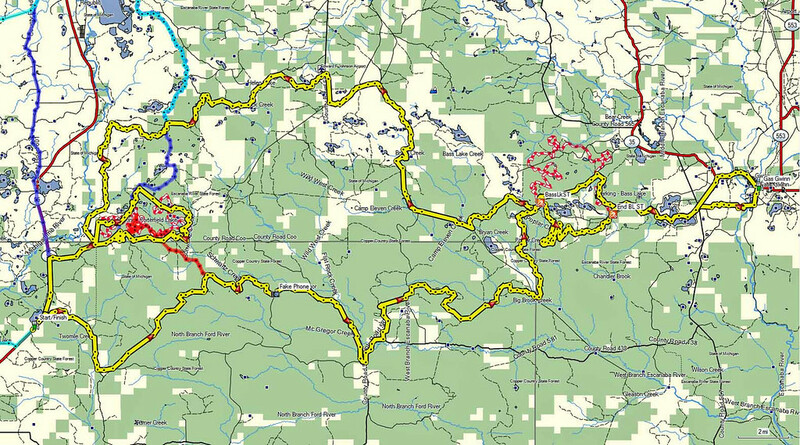 A lot of two track and gravel roads. 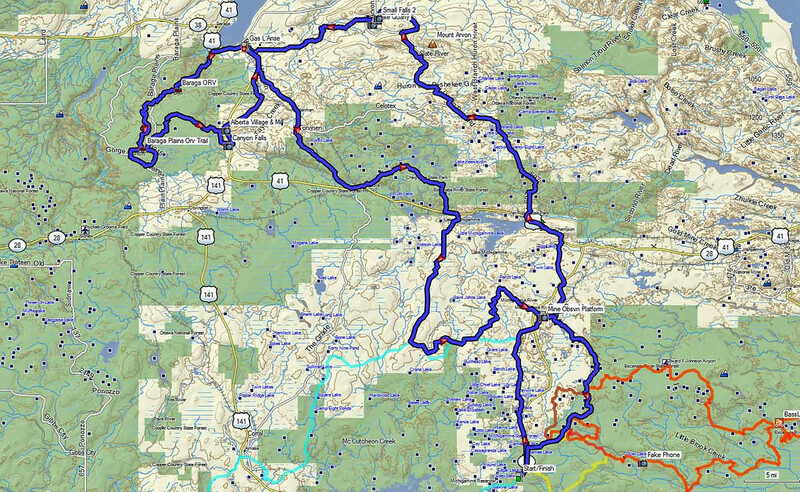 Updated the rides out of Silver Lake. New GPS files. 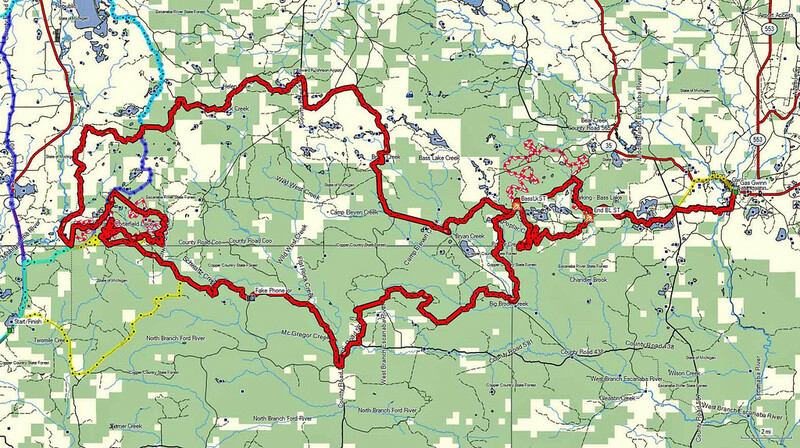 Road routes based out of Silver Lake. 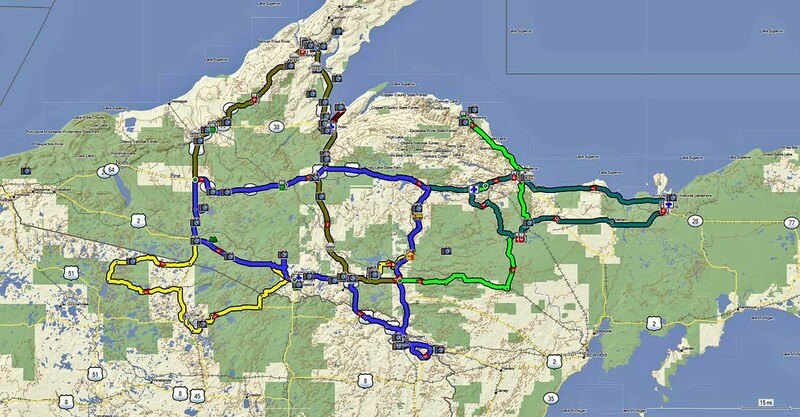 Sieg and I are planning a trip to the UP in August and will be there for at least a week. We plan on staying in motels and riding for several days and then moving elsewhere. We are mostly interested in old two track type of riding. I know we will have to run some hard roads but we want to keep it to a minimum. Unless things have changed I'm assuming that most of the single track is pretty whooped out so we probably won't ride much of that. I have heard that some of the connectors aren't used much so the whoops aren't so bad on them. ??? So, are the OHM tracks you have listed single track or 2 track?? We are riding KTM 350 and 500 EXC's so theoretically we can ride about anywhere. Are there any other good DS tracks you would suggest? I have a ton of tracs for the UP. Not at home for a while. Check my cannonshot.net pages for a link to tracks. Otherwise I can help you out when I get back home. Ok. We are not going there until August so there is plenty of time.